It’s not called the Polar Plunge for nothing! Hundreds of people took to the freezing waters of Lough Swilly in Co Donegal in aid of the Special Olympics. Among them were members of the local Gardai, the 28th Infantry army battalion from Finner Camp, the RNLI as well as the public. With Donegal enduring some of the coldest temperatures across the country this weekend and snow covering the hills around the seaside town of Rathmullan, only the bravest took part. Santa arrived on board the Rescue 118 helicopter from its Sligo base with presents for the many children who had gathered. And age certainly wasn’t a barrier either. as former Irish Olympic marathon runner Danny McDaid who stripped off and also plunged in at the sprightly age of just 76 years. Former Irish Olympic marathon runner Danny McDaid stripped off and also plunged into the freezing waters at the sprightly age of just 76 years. Organiser Sgt Paul Magee said he was delighted with the turn-out and hopes the fundraiser will go from strength to strength. 2018 is a massive year for Special Olympics in Ulster. 278 athletes and 112 coaching and management volunteers from the region will head to Dublin for four days in June for the Special Olympics Ireland Games. 13 sports will feature in venues such as the National Indoor Arena, the National Aquatic Arena and Morton Stadium. Ulster’s representatives were selected from regional advancement events over the past 12 months – a lucky few will go on to compete at the Special Olympics World Summer Games in Abu Dhabi in 2019. All money raised goes directly to supporting athletes with intellectual disabilities in sport and competitions. 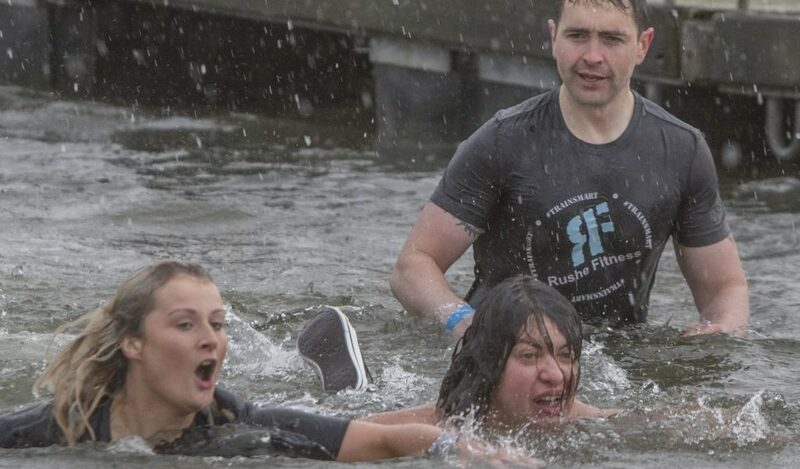 Plungers who raise more than €50 will also receive a complimentary Polar Plunge T-Shirt.